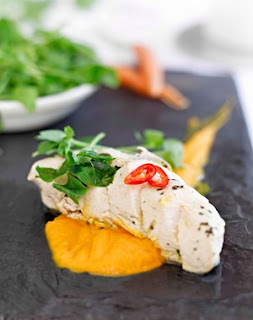 This poached chicken with carrot and ginger purée is a recipe by Lisa Faulkner. She advises using filtered water for to remove impurities which gives the final dish a clearer taste. I was already using a Brita water filter as we have a terrible problem with limescale and I've lost one too many kettles to limescale fuzz. 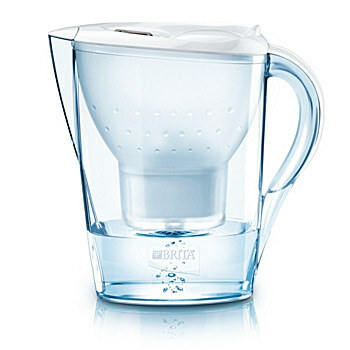 Brita sent me the the Marella jug to try out Lisa's recipe with. It has a handy flip lid on the top that fits easily under the tap which I liked, with my older model you had to remove the whole lid section so this is much more convenient. Hopefully, this will mean I no longer find the jug half empty in the fridge because the last person to use it never refilled it. The chicken in this recipe is poached in a filtered water based stock with toasted spices (cinnamon, ginger, fennel, star anise) and honey. This gives the tender chicken breasts a light hint of flavour and makes them a lot more interesting than just poaching in plain water. The poached chicken is served with pea shoots and carrot and ginger purée. I adore ginger and this vibrant zingy purée really adds life to the dish. Sweat the onions, garlic and ginger in the butter. Do not let the ingredients brown. Add the carrots and stock and simmer until the liquid has been absorbed, season with salt and pepper. Serve with the poached chicken and garnish with pea shoots. Lisa Faulkner is launching the 'Better with BRITA' campaign highlighting how she uses BRITA filtered water as an ingredient in cooking for the best tasting food and drink. 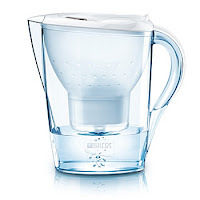 For details of BRITA products go to www.brita.co.uk.